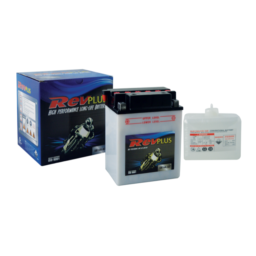 The RevPlus Motorcycle Battery range is available in sizes to suit most models of motorbikes and jetskis. Powered by the latest technology, the RevPlus Motorcycle Battery range provides the most powerful motorcycle battery product available. The RevPlus Premium and HD battery range are equipped with Absorbed Glass Mat (AGM) technology which extends battery life and ensures leak proof performance. Available in Dry Charge and Fully Sealed AGM designs to fit the most popular road bikes, trail bikes, quadbikes, scooters and jetskis in Australia.